Edited and text by Susanne Neubauer. Text by Clint Burnham, Roman Buxbaum, Carolyn Christov-Bakargiev, Harald Szeemann. Edited by Florence Derieux. Text by Harald Szeemann, Hal Foster, Jean-Marc Poinsot, Tobia Bezzola. Edited by Alanna Heiss. 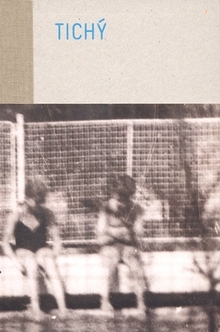 Essays by Ana Palacio, Harald Szeemann, Glenn Lowry, Juan Vincente Herrera, Francisco Javier León de la Riva and Jess Silva. Foreward by Glenn Lowry. Introduction by Christian Dominguez. Edited and with introduction by Jens Hoffmann. Text by Constance Lewallen, Julian Myers, Christian Rattemeyer. Interview by Harald Szeemann, Jens Hoffmann. Edited by Christian Rattemeyer. Texts by Wim Beeren, Charles Harrison, Harald Szeemann, Tommaso Trini, Claudia Di Lecce, Steven ten Thije. Introduction by Teresa Gleadowe. 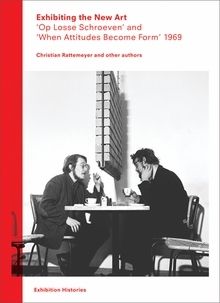 Essays by Roman Buxbaum, Pavel Vancat and Harald Szeemann. Essays by Philippe Büttner, Katharina Schmidt and Christoph Vitali. Conversations with Ulf Kster and Harald Szeemann. Edited by Marie-Laure Bernadac. 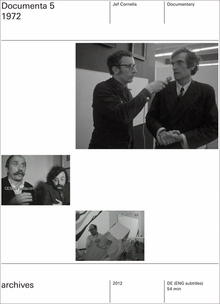 Interviews with Harald Szeemann, Robert Storr, Bernard Marcadé and Suzanne Pagé. 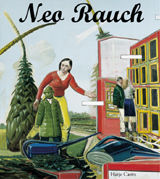 Artwork by Neo Rauch. Text by Harald Szeemann, Daniel Birnbaum, Lynne Cooke. 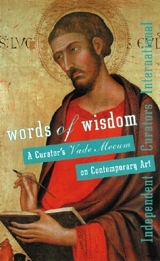 Essays by Harald Szeeman, Dieter Daniels, Herbert Molderings and Jacques Caumont. Edited by Silvia Eiblmayr. Essay by Okwui Enwezor, Elizabeth Harney, Stephan Kohler and Harald Szeemann. Edited by Florian Matzner. Includes by Vito Acconci, Daniel Buren, Dan Graham, Hans Haacke, Ilya Kabakov, Joseph Kosuth, and Lawrence Weiner. 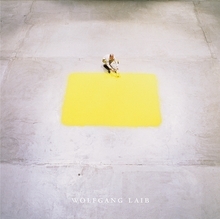 Artwork by Wolfgang Laib. Edited by Klaus Ottman. Text by Harald Szeemann, Margit Rowell. Harald Szeemann’s 1969 legendary exhibition Live in Your Head: When Attitudes Become Form was one of the first shows to bring together new tendencies in 1960s art, such as postminimalism, Arte Povera, Land art and Conceptual art. While the exhibition has been widely discussed and researched, an investigation into its impact has never before been realized in an exhibition. This volume explores the history and myths around When Attitudes Become Form, gathering a group of artists that explore the legacy of Conceptual art. The catalogue follows the office-binder format of the 1969 publication, with newly commissioned essays, a previously unpublished interview with Szeemann by Jens Hoffman and essays and images from over 80 artists in the exhibition, including Allora and Calzadilla, Claire Fontaine, Elmgreen and Dragset, Lara Favaretto, Luisa Lambri and Tino Sehgal. Paperback, 9 x 12.25 in. / 278 pgs / 150 bw. In 1971, Harald Szeemann invited the American sculptor and installation pioneer Paul Thek to contribute to Documenta 5. Szeemann had named one section of the Documenta “Individual Mythologies,” describing a new kind of art structured around a mythology invented by individual artists, rather than by a culture. Thek’s contribution--the now legendary “Pyramid” installation--came to be seen as the supreme example of Individual Mythology, and is one of Thek’s best known works (Documenta 5 is likewise among the most famous of all Documentas to date). Paul Thek in Process stems from an unrealized publication that Thek had hoped to produce for Documenta 5, which would enlarge upon the occasion and the mythology of his “Pyramid.” It comprises a trove of previously unpublished photographs recording the installation at Moderna Museet in 1971–72, all of the surviving correspondence between Thek and the museum, work-related ephemera and press coverage of the work. Paperback, 6.25 x 9 in. / 160 pgs / 100 bw. This second installation in JRP|Ringier’s Archives collection on exhibitions and curatorial practices focuses on Documenta 5, held in Kassel between June and October 1972. Curated by “master–curator” Harald Szeemann, it was the most expensive and intricate Documenta to date, and remains one of the most important international exhibitions of the past forty years. Entitled “Interrogation of Reality--Picture Worlds Today,” it brought together works by Marcel Broodthaers, Christian Boltanski, Arnulf Rainer, Claes Oldenburg, Gerhard Richter and Ed Ruscha (who designed the famous orange, ant-ridden catalogue cover), and inaugurated the art exhibition as spectacle. 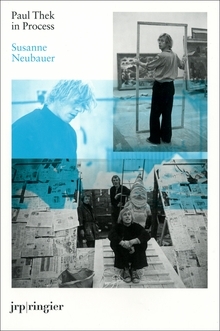 The film introduces the show’s different sections (such as “Artist’s Museum” and “Individual Mythologies”), and also provides a report on the trends and pacesetters of the time, as well as an effort to understand the phenomenon of Documenta itself as it questions the definitions of curator, artist, exhibition and contemporary art. DVD (PAL), 5.25 x 7.5 in. Documenta 4 is the first title in JRP|Ringier’s new Archives collection, a series of films compiling source material devoted to landmark exhibitions and curatorial practices. Held in Kassel between June and October 1968, Documenta 4--the last to be directed by Documenta founder Arnold Bode--concentrated entirely on the art of the 1960s, and was plagued by artistic and political controversy and debate that echoed the social and political upheavals that were taking place elsewhere at the time. 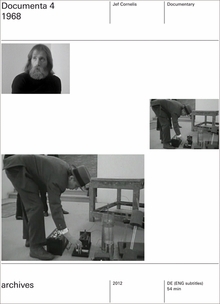 This archival documentary film gives voice to the artists, curators and audience of this landmark exhibition as it unfolded, and includes footage of Sol LeWitt constructing his “Three Part Variation,” Joseph Beuys installing his “Raumplastik,” Martial Raysse talking about the role of the artist at Kassel, Harald Szeemann defending the concept of the museum and Edward Kienholz explaining his work from inside his “Roxy’s” installation. Afterall Books' new Exhibition Histories series responds to an increased interest in exhibition history with its inaugural volume on two of the most famous exhibitions of the 1960s: Wim Beeren's Op Losse Schroeven (Stedelijk Museum, 1969) and Harald Szeemann's When Attitudes Become Form (Kunsthalle Berne, also 1969). Installation photographs allow the reader to envision the exhibitions, and chronologies detail the negotiations that steered them. Also provided are reprinted reviews, bibliographies and texts from the exhibitions, newly commissioned essays and interviews with artists Marinus Boezem, Jan Dibbets, Ger van Elk, Piero Gilardi and Richard Serra, and curators Wim Bereen, Charles Harrison, Harald Szeemann and Tommaso Trini. This volume is produced by Central Saint Martins College of Art and Design, London in association with the Academy of Fine Arts, Vienna, and Van Abbemuseum, Eindhoven. Paperback, 6.25 x 8.75 in. / 280 pgs / 15 color / 106 bw. Hardcover, 6.25 x 8.75 in. / 222 pgs / illustrated throughout. Part of JRP|Ringer's innovative Documents series, published with Les Presses du Réel and dedicated to critical writings, this publication comprises a unique collection of interviews by Hans Ulrich Obrist mapping the development of the curatorial field--from early independent curators in the 1960s and 70s and the experimental institutional programs developed in Europe and the U.S. through the inception of Documenta and the various biennales and fairs--with pioneering curators Anne D'Harnoncourt, Werner Hoffman, Jean Leering, Franz Meyer, Seth Siegelaub, Walter Zanini, Johannes Cladders, Lucy Lippard, Walter Hopps, Pontus Hulten and Harald Szeemann. 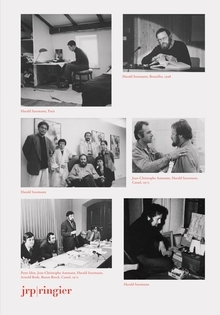 Speaking of Szeemann on the occasion of this legendary curator's death in 2005, critic Aaron Schuster summed up, "the image we have of the curator today: the curator-as-artist, a roaming, freelance designer of exhibitions, or in his own witty formulation, a 'spiritual guest worker'... If artists since Marcel Duchamp have affirmed selection and arrangement as legitimate artistic strategies, was it not simply a matter of time before curatorial practice--itself defined by selection and arrangement--would come to be seen as an art that operates on the field of art itself?" We owe our idea of the contemporary exhibition to Harald Szeemann--the first of the jet-setting international curators. From 1961 to 1969, he was Curator of the Kunsthalle Bern, where in 1968 he had the foresight to give Christo and Jeanne-Claude the opportunity to wrap the entire museum building. Szeemann’s groundbreaking 1969 exhibition When Attitudes Become Form, also at the Kunsthalle, introduced European audiences to artists like Joseph Beuys, Eva Hesse, Richard Serra and Lawrence Weiner. It also introduced the now-commonplace practice of curating an exhibition around a theme. Since Szeemann’s death in 2005, there has been research underway at his archive in Tessin, Switzerland. An invaluable resource, this volume provides access to previously unpublished plans, documents and photographs from the archive, along with important essays by Hal Foster and Jean-Marc Poinsot. There is also an informative interview with Tobia Bezzola--curator at the Kunsthauz Zurich and Szeemann’s collaborator for many years. Two of Szeemann’s most ambitious exhibitions are presented as case studies: Documenta V (1972) and L’Autre, the 4th Lyon Biennial (1997). A biography, an illustrated chronology of Szeemann’s exhibitions and a selection of his writings complete this exhaustive survey. Paperback, 6.25 x 9 in. / 240 pgs / 60 bw. Wolfgang Laib's extraordinarily concentrated installations are touching in an immediate and fundamental way, perhaps because they also address various levels of early childhood consciousness. Beeswax tunnels are redolent with an overwhelming scent of sweet honey and pollen; powdery piles of pollen are such a luminous yellow that you want to put your hands in them and play. Visitors to the installations are opened up, become aware of the energetic presence of the natural materials shown, and are prepared for a spiritual and intellectual encounter with the work's symbolic content. 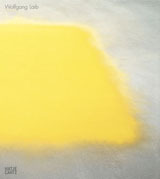 This retrospective monograph establishes the unique position and great power of Laib's work. Hardcover, 11 x 12.25 in. / 120 pgs / 55 color. Published by D.A.P./Les Presses du Reel. Texts and words are of crucial importance to Annette Messager's work--for her, "words are images." And so words--at once autonomous from, parallel to, and the sources of her visual creativity--are woven throughout her production. She has looked directly at our diverse relationships to language in forms ranging from the early scrapbooks of the 1970s to the large sculpted words of the late 1990s, and others including personal diaries, letters, calligraphy, alphabets and primers. She works with the repeated, drawn, framed and sculpted word; newsprint, collage and montage of texts and photographs; and handwritten texts. Plays on words and palindromes turn up in her exhibition titles and, more recently, in her children's books. All of these uses of language stem as much from Dada and Surrealism as from the aesthetics of the banal and the everyday, and they give rise to unclassifiable texts, which call somewhere between a literature of the news item or photo-essay and poetic maxims for personal use. Messager's frequent recourse to copying down and to repetition then serves as a kind of exorcism: in those cases, writing is something like sewing, with a soothing function. 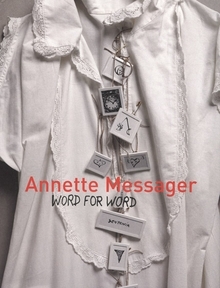 The first section of Word for Word focuses on writing in Annette Messager's artworks. The second includes numerous texts published in magazines or catalogues, as well as unpublished notes on her work and personal reflections on art and life. All of her interviews from 1974 to the present are also included. Hardcover, 7.75 x 10.25 in. / 416 pgs / 280 color / 20 bw. The Contemporary Chinese Art Awards (CCAA) are intended both to enhance public awareness of what Chinese artists contribute to contemporary culture and to encourage the development of the country's most promising talent. 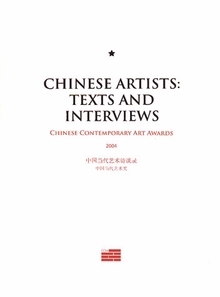 This compendium includes work by and interviews with awardees such as Xu Zhen, who took the overall CCAA Prize for Excellence, Gu Dexin, the CCAA Achievement Prize winner, and Song Tao, winner of the Young Artist Prize. Those three portfolios alone offer a compelling cross-section of their milieu, bodies of work both young and extensive, in a wide variety of media. Along with five compatriots, including Yang Fudong, they demonstrate unequivocally the vitality of their growing contemporary art scene. With essays by Harald Szeemann and Alanna Heiss, among others. Paperback, 8.5 x 11.25 in. / 181 pgs / 100 color. 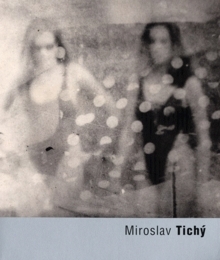 After studying at the Academy of Arts in Prague, and working--at some risk--as an abstract painter in Communist Czechoslovakia, Miroslav Tichy turned to a life in isolation in his home town of Kyjov, Moravia. In his fourth decade, in the 1960s, he began to take photographs of local women at the town pool using cameras he made by hand out of scrap and peering through the fence, which imposed its lines on every image. His is one of those incredible stories: Tischy is a driven, fiercely private artist with a large body of work that the world might easily never have seen. But in this case the story ends with the receipt of the Arles Recontres de la Photographie Discovery Award in 2005. Or rather it keeps going, with this collection, among the strangest, most touching contributions ever made to Western art's gallery of bathers. Paperback, 6.5 x 7 in. / 160 pgs / 78 color. 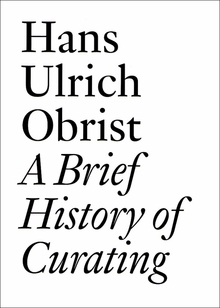 Essays by Hans Ulrich Obrist, Francesca Pasini, Giulio Paolini, Angela Vettese, Grazia Toderi and Harald Szeemann. This book acts like a thematic biography that deals with the concept of theater, a topic that is present in all of Grazia Toderi's work. Featured here are images of the stage, images of TV shows--the “theater” of stars--and, eventually, of cities observed from above. 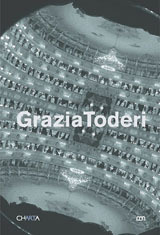 The exceptional dialogue between music, theater and visual art, and stills of Toderi's latest video project, La Fenice, are presented in this monograph, along with texts by Francesca Pasini, Angela Vettese, Harald Szeeman, Hans Ulrich Obrist and with the participation of Giulio Paolini. Also included in this comprehensive volume of Toderi's work is an anthology of writings by artists and international critics. Paperback, 6.75 x 9.5 in. / 144 pgs / 52 color / 20 bw. Throughout history, the excitements, surprises and discoveries of travel have inspired many. Great travelers, of course, are often great ambassadors of knowledge and ideas, but while the exchanges between disparate cultures have enchanted--and sometimes puzzled--both the visitors and the visited, they have also historically been the cause of conflict and strife. 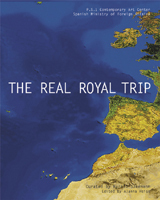 Christopher Columbus's fourth long voyage from Spain to America has been chosen as a metaphor for P.S.1 Contemporary Art Center's exhibition The Real Royal Trip. The “artist-travelers” featured in this historic exhibition reveal through their work a potent creative energy and illuminate the flow of new ideas, images, and approaches emerging from Spain's unique contemporary cultural climate. Breaking down barriers established by nations, the exhibition reaches across the Atlantic Ocean to include work by artists from Cuba and Puerto Rico, pursuing the pioneering voices of contemporary Latin America. (The inclusion of Ernesto Neto ensures that the great South American dream is also represented.) With the language of Spain--and not its national borders--as a common currency, this international panorama of art-making proposes a new kind of Spanish identity, one that is intricately linked to U.S. and Latin American culture. Paperback, 9.5 x 12 in. / 328 pgs / 354 color / 23 bw. 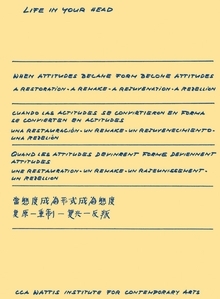 Revolution, subversion, and rebellion run throughout this compilation of interviews with, texts on, and works by the 23 artists who won the Chinese Contemporary Art Awards between 1998 and 2002. Jurists included Harald Szeeman, Alanna Heiss, Hou Hanru, Li Xianting and Uli Sigg. Paperback, 6.75 x 8.75 in. / 180 pgs / 126 color. One of the most original artists of his generation, Neo Rauch's paintings appear disturbingly detached and yet familiar, their figures, objects, and mood seemingly borrowed from old advertising posters, dusty book jackets, and forgotten comics. Rauch's formulistic visual symbols suggest a more profound meaning, yet it is difficult to decipher their message. The tension lurking under their almost frozen surfaces, washed with dusky, sinister colors, is fueled by paradox: as vivid as the structure of the work comes across, the impression is rigid; as powerful as the strokes of broken colors are, they appear faded, from bygone times. 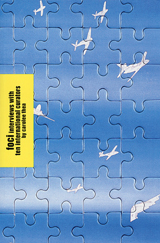 Edited by Gianfranco Maraniello, Sergio Risaliti, and Antonio Somaini. Essays by Jean Baudrillard, Dan Cameron, Jean-Luc Nancy, Harald Szeemann. Hovering potentially between generosity and insult, seduction and trap, homage and defiance, the gift is a gesture with which relations are established and desires intertwined. In a world in which personal interactions are more and more sternly regulated, in which the symbolic value of things has been eroded, to reflect upon the work of art as a gift means to emphasize its ability to establish new types of relationships and encounters. Fifty artists, including Marina Abramovic, Vito Acconci, Louise Bourgeois, Clegg & Guttmann, Nan Goldin, Felix Gonzalez-Torres, Cai Guo-Qiang, Mona Hatoum, Alfredo Jaar, Joseph Kosuth, Piero Manzoni, Ana Mendieta, Yoko Ono and Gabriel Orozco, have fashioned gifts of object and self, gifts of one's own body and of symbols, discreet and intrusive gifts, free handouts and exaggerated donations. 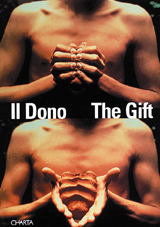 In the spirit of giving, a bountiful range of philosophers, anthropologists, art critics and essayists offer their own musings on the idea of the gift. Paperback, 6.75 x 9.5 in. / 520 pgs / 120 color / 126 bw. 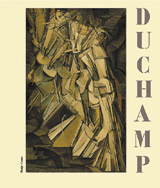 A one-time Fauvist, Cubist, Dadaist, and Surrealist, but an eternal chess player, Marcel Duchamp remains the avant-garde figure beyond all avant-garde figures of the past century. Provocative and brilliant, he radically challenged and changed accepted notions of art and its manufacture, and of the relationship between art and life. Marcel Duchamp, published on the occasion of an exhibition at the Jean Tinguely Museum in Basel under the curatorship of Harald Szeeman, endeavors to trace the different periods of Duchamp's oeuvre by means of a selection of his work focused mainly on those aspects that influenced Tinguely's own oeuvre. Additionally, the publication contains statements by Duchamp and essays by renowned Duchamp scholars on such topics as the emergence and development of the ready-made concept and its impact on the art of the 1960s. 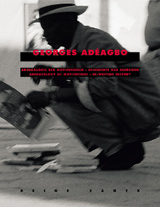 The history that African artist Georges Adéagbo "rewrites" is plural and nonhierarchical, a history that is constantly shifting and being shifted, in which seemingly valid parameters are being subverted, and from which diverse readings emerge. In installations that juxtapose books, magazines, record sleeves, and photographs from Africa with objects and texts from the country in which he is working, Adeagbo elucidates and reinterprets the processes that have led to the development, replacement, and breakup of territories and political and philosophical systems. This first monograph documents 13 of the artist's installations from the last 10 years, including "The Story of the Lion," which won a prize at the Venice Biennale in 1999, and provides a thorough exploration of an important figure in contemporary African art. Paperback, 6.25 x 7.75 in. / 112 pgs / 65 color. Published by ApexArt Curatorial Program. Foci gathers together interviews with ten of the most renowned curators working internationally in the field of contemporary art. 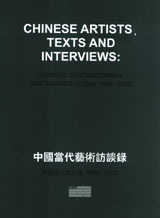 The interviews are rich with wide-ranging dialogue and cover issues such as the relationship between the exhibit and its location, art as the barometer for the age, the role of architecture, fashion and design in shaping art, the notions of national and gender identity in art, as well as more specific issues concerning personal curatorial styles. Interviews with Kasper Koenig, Rosa Martinez, Hou Hanru, Harald Szeemann, Vasif Kortun, Maria Hlavajova, Hans Ulrich Obrist, Dan Cameron, Yuko Hasegawa and Barbara London give the reader a fascinating insight into the work and thought process of some of the most creative individuals in today's art world. Paperback, 6.5 x 9.5 in. / 144 pgs / 23 color / 28 bw. Edited by Ida Gianelli. Contributors include Jean-Christophe Ammann, Germano Celant. 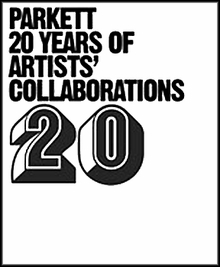 Artists include Giovanni Anselmo, Alighiero e Boetti, Luciano Fabro, Jannis Kounellis, Mario Merz, Marisa Merz, Giulio Paolini, Giuseppe Penone, Michelangelo Pistoletto. The Arte Povera movement, similar to other movements of its time such as Conceptual Art and Process Art, brought about a radical redefinition of art itself, and provided an alternative to the increasingly hegemonic art trends of the day. Arte Povera: In Collection examines a significant nucleus of historical works of the Arte Povera movement from three important collections: the Museum of Contemporary Art Castello di Rivoli, the Galleria d'arte Moderna in Turin, and the recent acquisitions of the Fondazione CRT in Turin. Included here are 90 works by the protagonists of the Arte Povera movement: Giovanni Anselmo, Alighiero Boetti, Pier Paolo Calzolari, Luciano Fabro, Jannis Kounellis, Mario Merz, Marisa Merz, Giulio Paolini, Giuseppe Penone, Michelangelo Pistoletto and Gilberto Zorio. The book focuses on these artists' classic works from the 60s and 70s, but also includes some recent work from each artist. 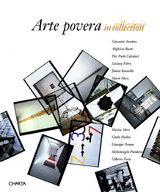 In addition, the book features new, unpublished essays by each of the artists (except for the deceased Boetti), and historical texts by major art critics Tommaso Trini, Harold Szeemann, Jean Christophe Amman, and of course Germano Celant, who coined the term ''Arte Povera'' in 1967. Paperback, 9.5 x 11 in. / 320 pgs / 114 color / 50 bw. Edited by Carin Kuoni. Essays by Jean-Christophe Ammann, Carlos Basualdo, René Block, Francesco Bonami, Dan Cameron, Lynne Cooke, Bice Curiger, Donna De Salvo, Richard Flood, Thelma Golden, Yuko Hasegawa, Jean-Hubert Martin, Gerardo Mosquera, Hans Ulrich Obrist. Paperback, 5 x 8.5 in. / 144 pgs / 100 bw. Few topics in the visual arts in recent years have created such controversy as the debate surrounding the significance and potential of public art. In this massive book-the first of its kind-over 50 authors take a critical look at this theme: the result is a fascinating compendium of opinions and statements, experiences and reports. The wide-ranging material by curators, art historians, and artists, including Vito Acconci, Daniel Buren, Dan Graham, Hans Haacke, Jenny Holzer, Rebecca Horn, Ilya Kabakov, Kasper Konig, Joseph Kosuth, Richard Serra, Harald Szeemann, Lawrence Weiner, and many more, is divided into sections entitled Art and the City, Art and Archtecture, Art and History, Art and Society, and Art and the Public. At over 600 pages with over 250 illustrations, Public Art presents an unprecedented abundance of both written and visual information on a vital topic in contemporary art. Photographs by Buby Durini. Text by Harald Szeemann, Pierre Restany, Lucrezia De Domizio Durini.